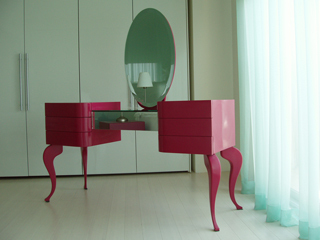 Ergonomically scaled for a petite jewelry collector, this fantasy design with beveled mirror and baroque legs serves as a makeup table with cosmetics in a central drawer and six side drawers for an extensive jewelry collection. 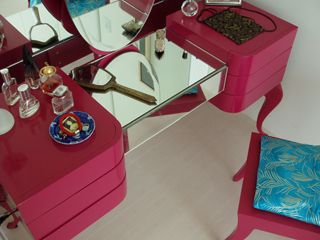 Includes a cushioned seat. 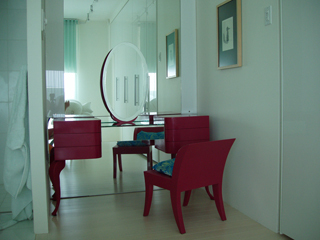 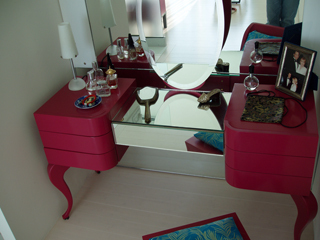 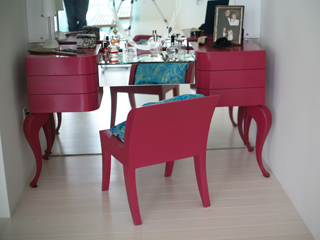 Materials: mirror, leaded glass mirror, upholstery fabric, and felt; finished in custom-colored pink lacquer.